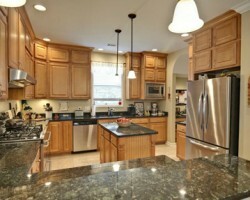 Kitchen remodeling in Indianapolis, IN is about more than just changing a few fixtures. 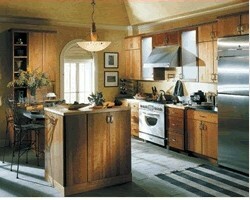 When you work with Kitchens by Teipen, your kitchen will be given the royal treatment and a total facelift. Working with this company means that you will be able to meet with the professionals to discuss the specifics of the designs, the layout, the materials and more. This is the best way the entire team can be sure that you will love the final results of their work. Eco-Nomical Contractors is one of the local remodeling companies that is focused on providing you with the remodeling results that you want while also helping you make environmentally friendly choices. This company will work to make sure their impact on the environment is minimized as they work too. For relatively cheap prices you can have this team create the kitchen of your dreams without going over your budget or the schedule that has been set. This is something reviews cannot say enough good things about. With year of experience to offer, you can trust that the team at Tremain will be able to create a kitchen and a room that you love. As you spend so much time in the kitchen, this team takes great care in making sure every detail is to your liking. They will not make any moves or decisions without your approval first. If you would like to be part of the process and work with a professional team that knows how to get results quickly, then working with this Indiana company is a must. Pioneer Kitchens is a company that will help you create a practical and enjoyable space for you to cook in and for your family to gather. You will work with the designers to achieve your aesthetic goals without compromising the functionality of the space. You will work with the construction team to make sure their work fits into your life and schedule. You will also work with the manager of the project to keep tabs on the progress and the budget. 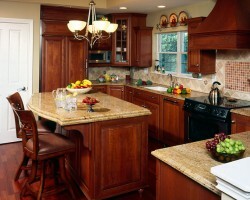 You need to experience the collaborative process of working with a top Indianapolis kitchen remodeler. 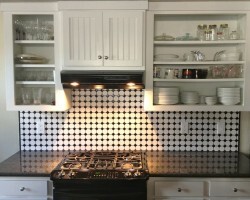 You could take on a kitchen remodeling project on your own, or you can work with an affordable and experienced kitchen remodeling contractor like Conceptual Kitchens. This company focuses on creating beautiful spaces that are function and have long-lasting benefits to the value of your home and the overall design of the home too. From start to finish, this team will be there to hold your hand through the design, layout and construction processes so that every detail and decision are carefully considered.